JUST DOWNLOAD THE seven mile APP and get started. 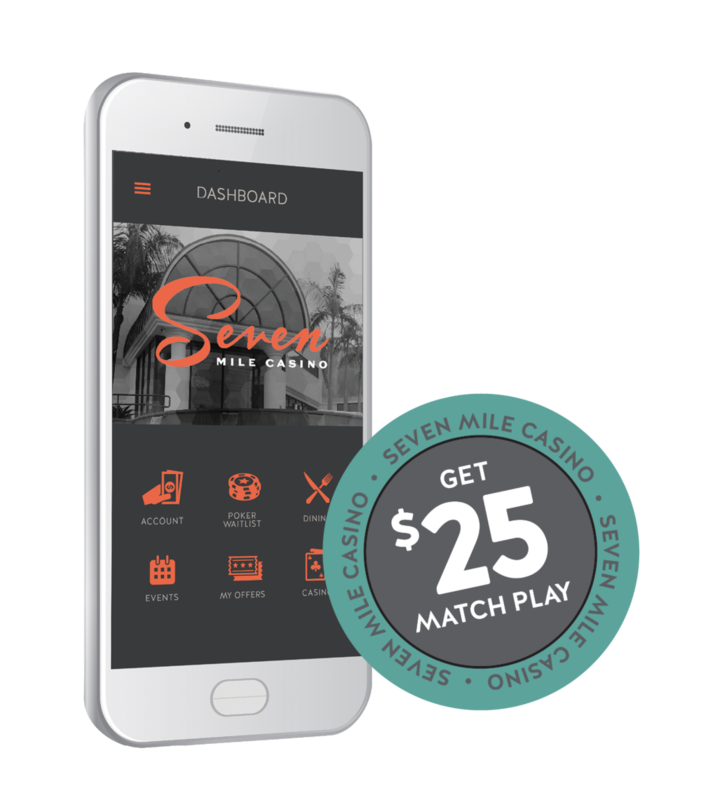 To redeem your free match play, install the Seven Mile App from the link below then see any Dealer at Seven Mile Casino. The Seven Mile App is available for both Apple iPhone and Android.